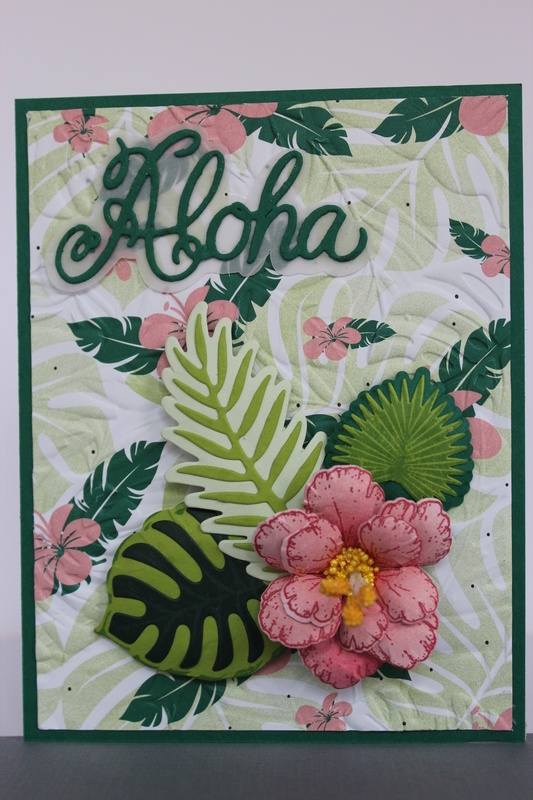 I just picked up the Tropical Suite from Stampin Up and I am already declaring it my all time favourite Stampin Up set. I love everything about it, from the colours to the versatility of the dies, and on to the great 6 X 6 patterned paper pack. 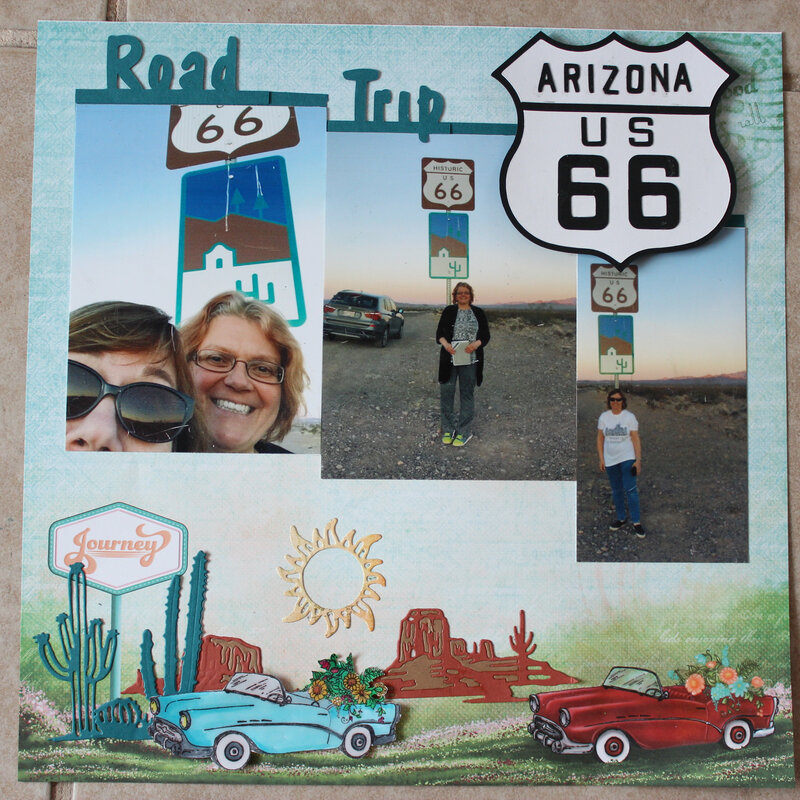 The other thing that is great about it, is that I was able to pair it up with images and dies from Heartfelt Creations and Sizzix. I have found that usually Heartfelt Creations does not play well with others. By this I mean that trying to pair stamps and dies from other companies, with stamps and dies from Heartfelt Creations often results in failure. The card looks like a nerd dating a Kardashian…………………they just don’t go together. It worked on this card though. I have a scrapbooking friend here in the resort who has been experiencing some health issues lately. 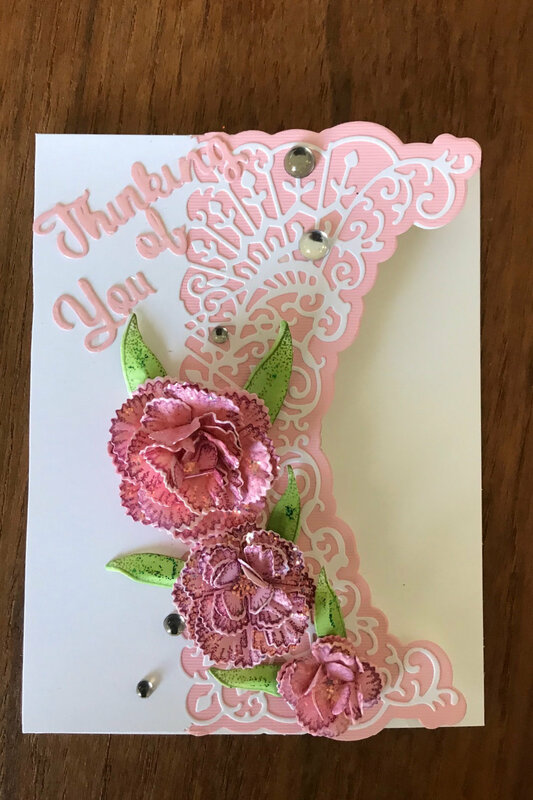 She is a lover of all things elegant and girly, so I wanted to make her a get well card in this style. Nobody does this style better than Heartfelt Creations, so I decided to use their stamps and dies. My friend had asked me specifically what I would do with the Decorative Medallion dies, so I wanted to use them on her card. I wanted the card to be dimensional and elegant but no larger than a regular A2 sized card. I think it turned out well. My friend will going to rehab soon………………………………No not that kind of rehab silly,,,,,,,,,,,,,,,,,the kind to rally her strength and get her on her feet again. I am hoping for a steady and smooth recovery. When I started out this morning I thought I would get a few things done. Little did I know that casing Kristina’s pull out card would become my life’s work! I am hoping that the Queen of England is on my Christmas card list, because nothing less than royalty is worthy of this card after the number of hours put into it. Nothing really went wrong in the construction, it just has a lot of steps. By the time, I got to the point of painting the poinsettia, my hands were shaking with nervousness. It is rather hard to watercolour small images when your hands are shaking. All is well in the end, as I liked the result. Besides blood, sweat and tears, Heartfelt Creations Sparkling Poinsettia Swirl stamp set, Heartfelt Creations Celebrate the Season stamp set, Strathmore Bristol cardstock, Hero Arts acetate, Stazon ink, Versafine ink, Zig Real Brush Markers, Bo Bunny Glitter Paste, Wink of Stella glitter pen, Unknown black glitter paper, Neenah 110 lb cardstock and Scor tape. The other day a fellow scrapbooker that I had recently met asked me what was my usual style in cardmaking. I thought about that and decided it was easier to talk about what my style “wasn’t” as that list was much shorter. In the end, I said my style was anything but cutesy bulbous heads on little boys and girls, and “frou frou”. Well a strange thing happened by the end of that day! Nothing so strange could happen, that would lead me to like bulbous head stamps EVER, but I did have an epiphany over “frou frou”. I was working in Scrapendipity and I just happened to sell a ton of Heartfelt Creations items. Now, Heartfelt Creations fell under my definition of “frou frou”, so I couldn’t help but be amazed by the tremendous interest in this company. I decided to take a second look and see if I could create something that I liked with their Under the Sea line. Serious mistake folks, as now I am totally smitten. I had serious anxiety cutting into the luscious two sided papers. If I used the card side, the scrapbook layout side was sacrificed and vice versa. What to do……………………what any anxiety ridden scrapbook addict would do………………….buy another pad for my stash! Anyway, so far I have created two cards with several more ideas clawing to get out of my head. These cards took quite a bit of planning, layering and different techniques, but I think they turned out quite well.